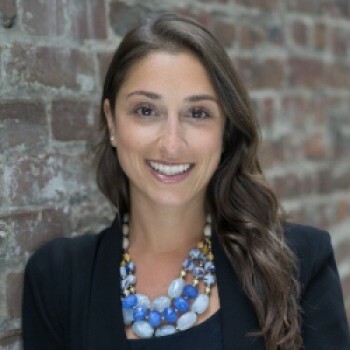 Avital Gertner-Samet works as General Counsel at pymetrics, Inc., creators of a groundbreaking platform that employs neuroscience and data-analytics to assess talent efficiently and fairly. 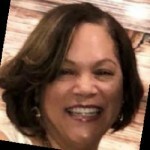 Ms. Samet oversees all legal matters at the pymetrics and helps bridge between pymetrics’s pioneering technology and traditional Equal Employment Opportunity law, which was legislated in the 1970s. Ms. Samet served as Secretary of the Consumer Financial Services Committee at the California Bar. She presented at various educational programs alongside regulators and other industry-leading practitioners, including at the Annual Meeting of the California Bar. Ms. Samet has also authored numerous Committee-issued e-bulletins on legal developments in the field. Before Pymetrics she acted as General Counsel at TrueAccord Corp., as well as represented multinational corporations as well as Non-Profit Organizations on cutting edge tax matters. The connecting thread in Ms. Samet’s legal career is her passion for policy work. Ms. Samet is licensed to practice law both in California and in Israel. April Madison-Ramsey is Senior Counsel, Labor & Employment for Dignity Health (formerly Catholic Healthcare West). She has more than 20 years of traditional labor & employment litigation, risk avoidance/ management, employment compliance and ADR experience. She currently manages Dignity Health’s three-state, 40-facility employment litigation and risk management program. Her practice includes system-wide oversight of all aspects of prelitigation and litigation matters. She also provides training and preventative counseling and advice concerning disability discrimination, leave administration, corporate diversity, harassment prevention, internal investigations, collective bargaining agreements, wrongful termination, and employee discipline. Prior to joining Dignity Health in 2006, April represented management-side labor andemployment interests in a variety of industries, both public and private. 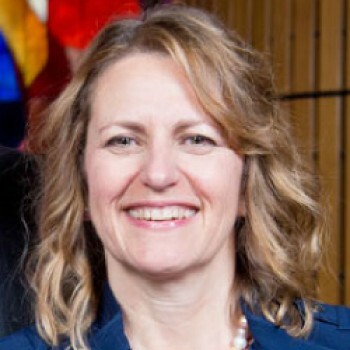 Upon relocating to the San Francisco Bay Area from Wisconsin in 1992, April worked on the central staff of the U.S. Court of Appeals for the Ninth Circuit. Following her time at the Ninth Circuit, April worked as an associate at Morrison & Foerster LLP representing employers in securities and employment litigation and appellate matters. 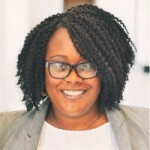 She has also represented public sector management interests as a Deputy City Attorney for both the City and County of San Francisco and the City of Oakland. As a Deputy City Attorney in San Francisco, April’s practice included all aspects of labor relations and employment law, including litigation, preventative counseling, wrongful termination, employee discipline, Title VII and California Fair Employment and Housing Act claims, and wage and hour matters. April has served as special counsel to the San Francisco Civil Service Commission and counsel to the City of Oakland’s Civil Service Board. In that capacity, she was responsible for advising commission and board members concerning the negotiation and administration of civil service rules and human resource policy and procedure. 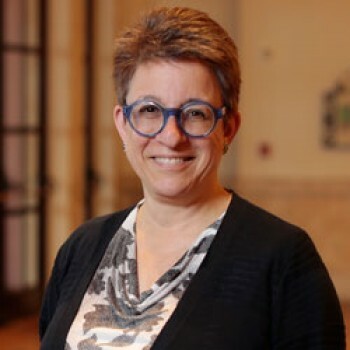 Her national speaking and teaching experience includes her time as an adjunct professor of Legal Research/Writing and Moot Court at both Hastings College of Law and Golden Gate Law School. 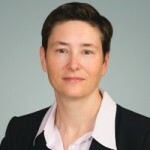 In addition, she has spoken on wide range of employment law topics for the State Bar of California, the League of California Cities, the California Society for Healthcare Attorneys, the California Commission on Police Officer Standards and Training, the Council on Education in Management, the Minority Corporate Counsel Association, and the National Employment Law Council. She has also served as a member of the board of directors for civic and community organizations, including the Charles Houston Bar Association and the San Francisco Women Lawyer’s Alliance. She is a member of the Labor & Employment Law Section of the State Bar of California, the Society for Healthcare Attorneys, the Minority Corporate Counsel Association and the Corporate Counsel Women of Color. April is certified as a Senior Human Resource Professional by the Human Resources Certificate Institute of the Society for Human Resource Management (SHRM). She received her J.D. from the University of Wisconsin Law School and her B.A. from the University of Wisconsin-Madison. She is a member of the State Bar of California and the State Bar of Wisconsin, and is admitted to practice before the U.S. Court of Appeals for the Ninth Circuit, the U.S. District Court for the Northern District of California and the Western District of Wisconsin. 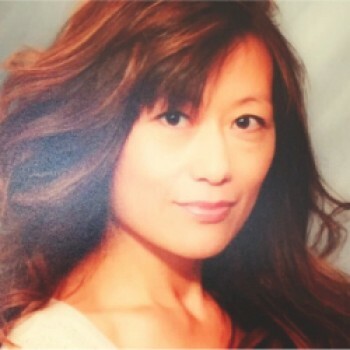 Olga V. Mack is a blockchain and distributed ledger technology strategist, security professional, experienced board director, nationally-recognized author, public speaker, and impactful women’s advocate. 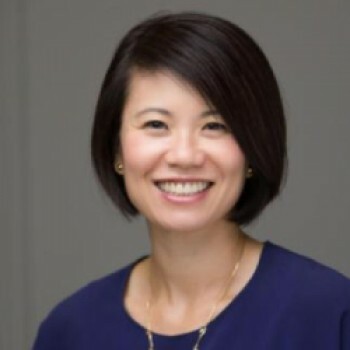 She is currently Vice President of Strategy at Quantstamp, the first decentralized security auditing blockchain platform. Olga was instrumental in passing AB 2658 and SB 838, which define blockchain and form a working blockchain group in California. 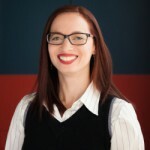 She co-authored Fundamentals of Smart Contracts Security (Momentum Press, March 2019) and she is writing a book about blockchain and distributed ledger technology business models. 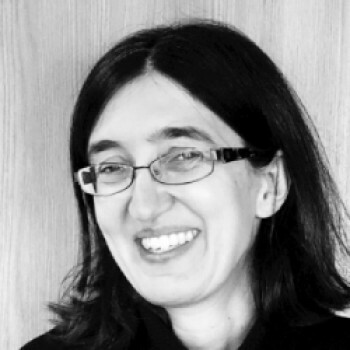 Olga leads the Smart Contracts Security Alliance to help enterprises innovate in blockchain securely. She spoke at TEDxSanFrancisco about the impact potential of blockchain and smart contracts and at SXSW about blockchain business models. Olga is an impactful leader who can mobilize change both within an organization and throughout society at large. She founded the Women Serve on Boards movement, which advocates for women to serve on the corporate boards of Fortune 500 companies. She has successfully persuaded over a dozen Fortune 500 companies to recruit their first woman director. She actively advocated, testified, and mobilized for the passage of California SB 826, which requires California public companies to recruit women directors. Finally, she authored All [A]Board: Your Journey to Becoming a Corporate Director, to demystify board service. Olga has received widespread recognition for her professional achievements. In 2016, she was selected as a White House United State of Women Change Maker. She also received the Association of Corporate Counsel (ACC) Top 10 30-Somethings, Watermark Impact and Advocacy Make Your Mark, Corporate Counsel of the Year, and Women Leaders in Technology Law Awards. She has been featured and quoted in Bloomberg, MPR/KQED, Law.com and numerous trade publications. 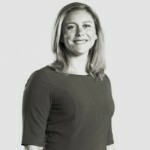 Olga was previously General Counsel at ClearSlide. She also worked at Zoosk, Visa, Yahoo, and Wilson Sonsini Goodrich & Rosati. 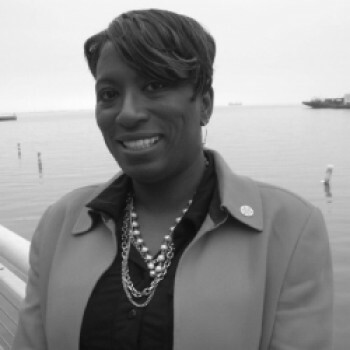 She serves on the California Law Revision Commission (appointed by Governor Jerry Brown). Corina Davis is the EVP of Business Development and Chief Legal Officer at Redbubble, a global marketplace where artists and designers can sell their artwork on an extensive assortment of products, from t-shirts to iPhone cases. Serving as the EVP of Business Development and Chief Legal Officer, she enjoys collaborating with all parts of the company, partnering and advising on a wide variety of business and legal matters, as well as working with external partners to create new business opportunities. Ms. Davis thrives in a fast-paced environment and loves working across multiple geographies with colleagues all over the globe. She received her J.D. from University of San Diego School of Law. Maggie specializes in the representation of emerging growth companies throughout their lifecycles. Maggie is broadly experienced with corporate formation and governance matters, venture capital financing transactions, and a variety of M&A transaction structures. 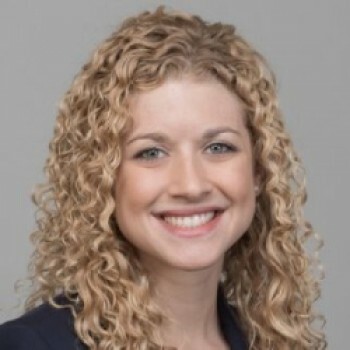 Maggie represents a wide variety of technology companies from consumer internet, software, telecommunications, and entertainment technology industries, as well as a number of leading venture capital firms. Joanne Bal is a legal executive with demonstrated success advising leading and developing teams within global companies in the the apparel/fashion and tech industries. Currently she is the Chief Counsel at Levi Strauss & Co. Ms. Bal is skilled in Negotiation, Corporate and Commercial Law, Intellectual Property, Privacy, Antitrust, and eCommence. 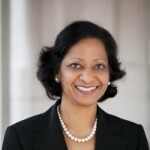 Prior to joining Levi Strauss & Co., Ms. Bal was the Managing Director, Legal Services at Applied Materials. She received her J.D. from University of Chicago Law School. 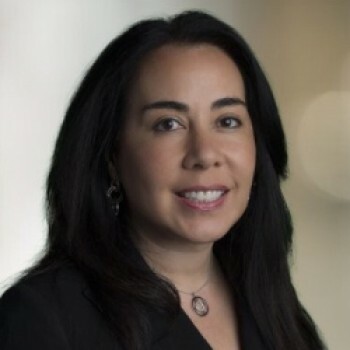 Diana Jimenez is senior attorney at Intel Corporation in the Privacy and Security Group. She has been a lawyer for over 25 years in the areas of technology transactions, open source, M&A, regulatory compliance and now privacy. 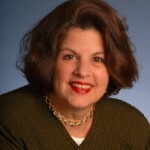 Prior to joining Intel, Diana was Senior Corporate Counsel at Altera. She received her J.D. from University of Washington School of Law. Tamara's legal experience is anchored in labor and employment advice, counseling and litigation for employers. She started her career at a mid-sized defense firm in San Francisco. At Kaiser Foundation Health Plan, Inc. she spent 15 years in the Labor & Employment Practice Group, advising managers and HR on both day to day performance oversight as well as big picture policy and strategy issues, and managing employment litigation. Since 2017, Tamara’s practice has focused on managing employment litigation. Tamara is a seasoned litigator and tough negotiator, known and respected for her pragmatic, collaborative, results-oriented style and strong writing skills. A significant portion of Tamara’s work at Kaiser is devoted to the Legal Department’s Equity, Inclusion and Diversity Program. As the Department’s Strategic Leader for Equity Inclusion and Diversity, since 2011 Tamara has developed and led the Department EI&D Committee, working tirelessly to promote the Program mission, "to strategically drive the integration of equity, inclusion and diversity into every aspect of our work resulting in a positive and enduring impact on our workforce/department, the legal profession and the communities we serve." The positive, measurable, undeniable and enduring impact of this work on her colleagues, the community and the pipeline of future diverse lawyers drives Tamara's passion for this aspect of her career. Tamara is a Bay Area native and graduate of the University of California, Berkeley and Stanford Law School. Tamara’s passion for equity spills over into her non-work life. She serves on the board of a local non-profit that provides respite and support services to children and families. Tamara, along with her adult daughters, host a variety of events for youth and women of color, including empowerment seminars and distribution of essential toiletries and accessories to homeless women. 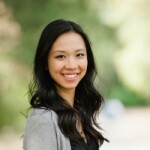 Helen Tieh is Director, Legal at Looker Data Sciences, a business intelligence platform start-up. Reporting to the General Counsel, Helen is responsible for all legal work for product and intellectual property, supporting the engineering, product and design teams and managing the patent, copyright, trademark and open source programs for the company. 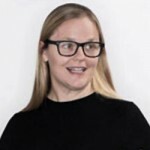 Prior to joining Looker, Helen also worked in-house at NVIDIA Corp., Symantec, HP and Oracle. She has a J.D. from the Duke University School of Law and a B.A. from Stanford University. 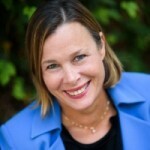 Laura is Casetext’s COO, General Counsel, and co-founder. Before Casetext, Laura was a litigator at Simpson Thacher & Bartlett, clerked for Judge Paul Engelmayer in the Southern District of New York, and served in the Senate Judiciary Committee. Laura graduated from Yale Law School, where she was managing editor of the Yale Law Journal. In 2017 Laura was named one of the top Women Leaders in Tech Law in California. Martha Rose works as the Director of Legal for Sequoia Heritage, an endowment-style registered investment adviser based in Menlo Park. At Sequoia Heritage, she works to facilitate her investment team’s strategies, including negotiation of transaction terms, while monitoring appropriate legal and compliance requirements. Martha works closely with her operations and finance colleagues to keep the fund running smoothly and implement each of the fund’s new investments. 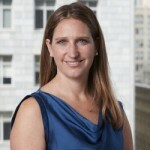 Prior to joining the Heritage team, Martha was the Associate General Counsel at a private equity fund and counseled clients in public and private M&A, joint ventures and other corporate transactions as an associate at Wilson, Sonsini, Goodrich & Rosati in their San Francisco office and Proskauer Rose in New York. Martha received her JD from Columbia Law School. Shanti Ariker is an attorney practicing for more than 20 years with experience working internationally and with high-growth companies. She is a pragmatic attorney and strategic thinker who helps management to resolve issues in connection with business objectives. She has experience working with board of directors and executive management, managing and building teams and negotiating complex agreements. Shanti is currently Senior Director & Senior Corporate Counsel, Named Accounts & Customer Success at Autodesk, Inc. Prior to that, she spent 3.5 years as General Counsel of Salesforce.org, the non-profit arm of Salesforce. Before that, at Salesforce, she managed a team of lawyers responsible for enterprise and commercial accounts in the U.S., Canada and Latin America. She has also held in-house roles at Celestica and E*Trade as well as practicing with several law firms in private practice. Suzette has always enjoyed the art of negotiation and litigation. She has appeared and argued before several state, federal, and bankruptcy courts. She has appeared before administrative agencies, including the San Francisco Board of Appeals, the San Francisco Rent Board, the Oakland Rent Board, and the California Labor Commission. Suzette joined Bardellini, Straw, Cavin & Bupp LLP (BSCB), a boutique law firm that specialized in real estate transactions and litigation. Her practice evolved to include title/escrow issues, business disputes, contract negotiations, handling adversary proceedings in bankruptcy, Home Owner Association issues, and construction defects. Suzette also has significant appellate experience (9th Circuit) and has successfully argued before the California Court of Appeal (1st District). 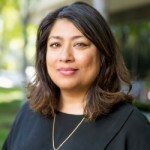 Suzette is District 4 Governor of the California Women's Lawyer's Association (the largest women's bar association statewide) and serves as the Chair of the In House Counsel Network. 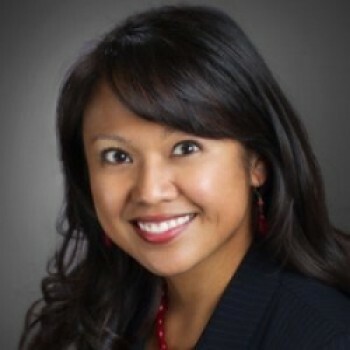 She is an active member of the In-House Committee of the Asian American Bar Association of the Greater Bay Area and a former Co-Chair, a Board Member at Large of the Contra Costa County Bar Association Women's Section, a member of the Asian Pacific American Bar Association - Silicon Valley, the Filipino Bar Association of Northern California, and CREW SF/East Bay CREW (Commercial Real Estate Women). Iris is a Vice President in the Legal Department at Google, LLC where she leads a team of 110+ attorneys and contract managers responsible for supporting global product development and all commercial transactions in North America and EMEA for Google’s advertising, analytics, commerce, payments, search, research, geo, emerging markets and product infrastructure services. Iris regularly advises the company’s executives across Product, Engineering, Sales, Business Development and other functions. She began her career at Google in 2006 as a commercial attorney supporting the company’s ads business and was also the lead attorney for Google’s legal staff in New York before relocating to the company’s headquarters in Mountain View, CA, in 2011. She is a member of Google’s executive oversight committee for some of its diversity and inclusion initiatives and is the co-sponsor of the Google Legal Department diversity and inclusion committee. 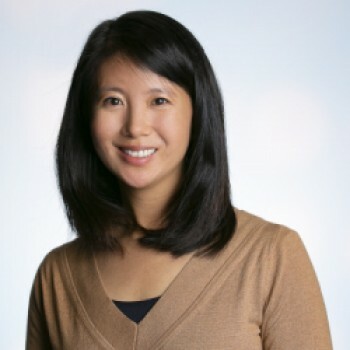 Before joining Google, Iris was a corporate associate at Simpson Thacher & Bartlett (2001-2004) working on securities, M&A, private equity fund formation and non-profit organization matters. She then joined Ropes & Gray (2004-2006) where she was a member of the firm’s investment management practice. Iris is a Vice President on the Board of the Columbia Law School Association. She is also an advisory committee member for PracticePro, a San Francisco-based legal education startup that provides skills training, career development training, diversity programs and technology with the aim of improving how new lawyers are trained and bringing more diversity to the legal profession. Iris was also a recipient of The Recorder’s Women Leaders In Tech Law Awards in 2017. Iris received a BA in 1997 from Yale University and a JD in 2001 from Columbia Law School where she was a Harlan Fiske Stone Scholar and Joseph Solomon Arts Fellow. She also completed the Advanced Leadership Program for Asian-American Executives at Stanford Business School in 2017. Outside of work, Iris enjoys running, following interior design blogs and spending time with her husband and three daughters. Dr. Astrid Becker-Celik is Associate General Counsel of Glu Mobile Inc., a developer and publisher of mobile games. Astrid has experience with a broad range of legal, business and strategic issues. Being admitted in California, New York and Germany (inactive), Astrid’s practice is multijurisdictional and multinational. Astrid is also a Certified Information Privacy Professional (CIPP/US, CIPP/E, CIPP/A and CIPP/C), a Certified Information Privacy Technologist (CIPT) and a Certified Information Privacy Manager (CIPM). At Glu, Astrid is the legal point of contact for the worldwide Finance, Tax, Stock Administration, Marketing, Information Technology, and Information Security teams. She is also responsible for privacy, corporate compliance, SEC reporting and Glu’s worldwide legal entity structure. 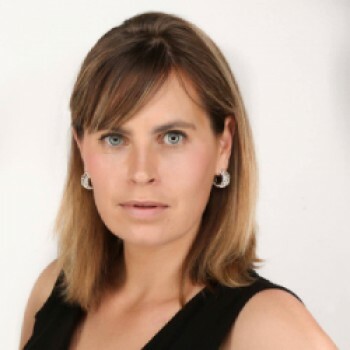 Before joining Glu, Astrid was Associate General Counsel for Quantum Corporation, a data storage company, for 15 years and prior to that worked for two US-based and one German-based multinational law firm. She studied in three different countries, and worked in Belgium, France, Germany and Ecuador before coming to the US. Priya Sanger is Deputy Legal Counsel at Patreon, a SaaS payments platform company helping to fund the creative class. They provide an online membership payments platform for Artists and Creators to engage with their supporters, and get paid easily and predictably without ads. Previously she spent 5 years at Google as a product and payments counsel, providing consumer and business strategic advice and leading product internationalization in Ads & Commerce. Before Google, Priya worked at Wells Fargo where she worked in different attorney roles: as a product and strategy lawyer, M&A lawyer, privacy lawyer, regulatory & compliance lawyer, and commercial lawyer. 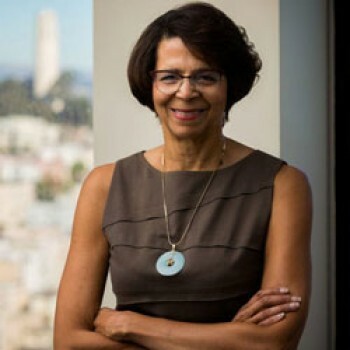 She also served as President of the Bar Association of San Francisco, which represents 8000 lawyer members in San Francisco and provides justice for the under-served. Nancy Chung Allred is Senior Policy Counsel at Airbnb, Inc., focusing on regulatory, policy, and government affairs for a fast-growing startup disrupting traditional hospitality models. Nancy has a B.A. from the University of California, Berkeley, and a J.D. from Columbia Law School. 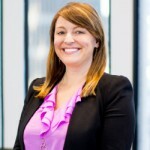 She has over 12 years of experience as an attorney, including stints at Uber Technologies, Inc., Southern California Edison Company, and Baker McKenzie LLP. Nancy is a longtime San Franciscan, with three young children who don’t care much about regulatory reform but do like that their mom’s workplace has a ball pit. Jacqueline (“Jaci”) Lee represents America’s largest restaurant franchisee in a wide range of commercial, real estate, and tort disputes for over 1200 restaurants nationwide. She is an experienced trial lawyer who has managed all aspects of litigation and has played a lead role in several jury and bench trials, as well as arbitration. Jaci has written and spoken extensively on litigation strategy, IP damages, and diversity in the legal profession, and her contributions have been recognized by a number of legal publications, including The Legal 500 United States and Northern California Super Lawyers. In 2015, Jaci was named to Silicon Valley Business Journal’s 2015 “Women of Influence” list. Prior to joining Flynn Restaurant Group in 2018, Jaci was a partner in Jones Day’s Silicon Valley office. 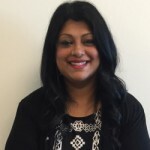 Ms. Sumita Ray has been the Senior Vice President, General Counsel and Chief Compliance Officer at Calithera Biosciences, Inc. since October 3, 2017. Ms. Ray has a breadth of knowledge in FDA regulatory law, global health care law and compliance, brand support, product launches, collaborations and alliances. Ms. Ray served as the Chief Compliance Officer, Head of Healthcare and Regulatory Law and Associate General Counsel of Healthcare Law at Pharmacyclics LLC (alternate name, Pharmacyclics Inc.), where she supported the Pharmacyclics through the global approval and launch of Imbruvica in multiple indications Ms. Ray joined Pharmacyclics in April 2013. She has more than 17 years of legal, regulatory and compliance experience in the pharmaceutical and biotech industries. Ms. Ray’s legal and compliance practice involves collaboration with the clinical development, medical affairs and commercial business units, among others, on strategies to meet business goals in an ethical, legally sound and compliant manner. Ms. Ray started her career as a pharmaceutical and products liability litigator at Montgomery, McCracken, Walker and Rhoads LLP. She was at Elan Pharmaceuticals in San Francisco, where she was a member of the company’s Legal Leadership Team and Head of the BioNeurology and Regulatory Law Group , leading and managing a team of lawyers and paralegals in global support of Elan’s pipeline and marketed products. 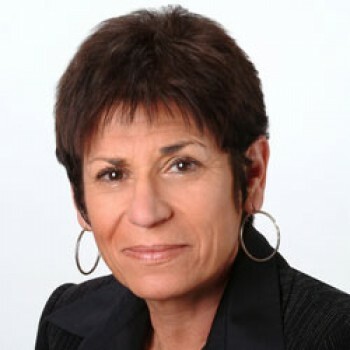 In 2010, Ms. Ray was significantly involved in the negotiation and settlement of Elan’s Corporate Integrity Agreement with the Office of Inspector General and the subsequent drafting, implementing and training of the global business on key policies and procedures related to a Global Compliance program. Prior to joining Elan, Ms. Ray was in the legal department as Corporate Counsel of AstraZeneca Pharmaceuticals for 2.5 years, followed by Genentech for 3 years, where Ms. Ray was the lead Legal Counsel for each respective company’s blockbuster drug product in primary care and oncology and engaged in several FDA label negotiations, approvals and subsequent product launches. Prior to moving in-house, Ms. Ray spent 5 years as a pharmaceutical and products liability litigator at a major Philadelphia-based law firm, where she spent a significant amount of time on the FEN-PHEN products liability case, among other historic pharmaceutical cases. Ms. Ray holds a Juris Doctor from Temple University Law School and a bachelor of science in microbiology from the University of Arizona. She is licensed to practice law in Pennsylvania, New Jersey and California. 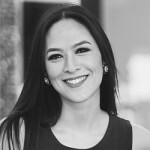 Marina Gracias is General Counsel/Corporate Secretary at Varo Money. Varo[s mission is to help people improve their financial lives by providing them with a suite of mobile app based financial tools. Prior to joining Varo, Marina was a Managing Director in Financial Services at Accenture and prior to that the Head of Global Sourcing at Visa. Marina also practised corporate law both in house and at a prominent San Francisco law firm. Marina also serves as an Advisory Board member for Bizworld which is educating our future entrepreneurs. 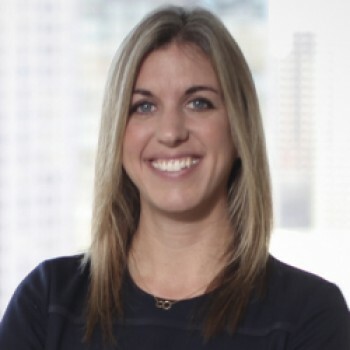 April currently is a VP and Associate General Counsel at Salesforce. She is a member of the Legal and Corporate Affairs (LCA) leadership team. She heads the Office of Ethics & Integrity, a global business unit reporting to the LCA President and General Counsel. She provides the strategic vision for the global ethics and integrity program and oversees legal compliance training, policy development, and related investigations. She has direct reports in EMEA, APAC, LACA and US public sector, in addition to HQ. She is a member of the Compliance and Risk Committee, a cross-functional group of senior business leaders at Salesforce that is the company's risk assessment body. Tiffany Renee Thomas currently holds the position of Counsel – Employment and Corporate Responsibility at Visa. Prior to joining Visa, Tiffany was a partner in the San Francisco office of Reed Smith LLP where she specialized in the defense and counseling of employers in all aspects of employment law. She received her J.D. from University of California, Berkeley - School of Law. Jasmine primarily defends employers in all aspects of employment law matters before federal and state courts and administrative agencies. Jasmine handles a variety of claims involving discrimination, harassment, retaliation, failure to accommodate, wage and hour, denial of leave, and other employment law issues. 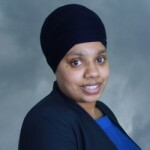 Jasmine also provides advice and counsel to employers on how to prevent these claims and develop lawful and effective policies and practices. 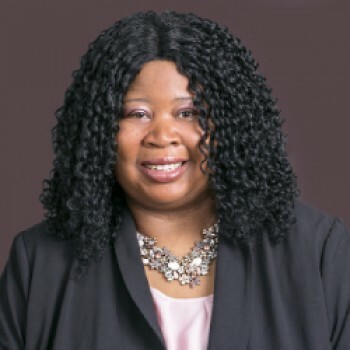 Jasmine is also a certified, trauma-informed investigator and has substantial experience conducting Title IX and workplace investigations for a multitude of clients. Jasbir Khalsa is a product attorney that provides cross-functional support to certain start ups that have been acquired by Microsoft in Silicon Valley. Jasbir touches a variety of issues ranging from ethical use of data for artificial intelligence and machine learning, data protection, privacy, IP rights, IP protection, data security, US and international consumer protection laws, marketing, commercial and regulatory compliance. Jasbir is licensed to practice law in England & Wales, New York and California. She has an LLM from Golden Gate University and a LLB from Brunel University in London. 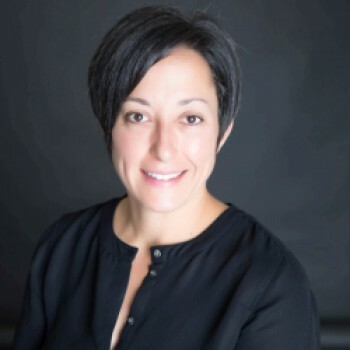 Nancy is an experienced corporate attorney with over ten years working at reputable and iconic consumer products companies and approximately eight years at multi-billion dollar financial services firms. 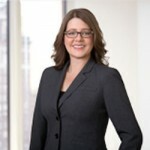 In her current position as Associate General Counsel at Jelly Belly Candy Company, she is responsible for handling and advising on a wide range of legal topics. They include reviewing and negotiating contracts, corporate governance, insurance, real estate, finance, global subsidiary management, compliance, insurance, and general corporate matters. In addition, she has successfully streamlined processes and procedures to help the company become more efficient and effective. Nancy supports and advises operations, human resources, finance, retail stores as well as other business units. 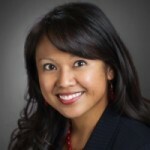 Prior to Jelly Belly Candy Company, she was Corporate Counsel at Big Heart Pet Brands (formerly Del Monte Corporation) and Director of Compliance at AXA Financial.